Residents of Posočje are accustomed to alternating national flags, being at a windswept location at the crossroads of major empires and Slavic, Latin and Germanic worlds. When visiting the Kluže fortress at the door to the Soča valley you can relive fateful moments from World War I with the help of enthusiasts of Society 1313. With this you can get to know how radically history has repeatedly toyed with this beautiful alpine valley. Three key places for congress tourism – Bovec, Kobarid and Tolmin – are connected by the Soča river, one of the most pristine Alpine rivers that, with its beauty, creates a highly experiential diversity. Soča river is perfect for postcards and adrenaline water sports. The roots of rafting and kayaking in the 1980s were a revolution and considered to be one of the first organised forms of teambuilding in Slovenia and the wider region. The destination is safe, enjoyable and full of inspiration for congress participants. Despite its remoteness the communal infrastructure in the three major towns is very well arranged. As an incentive pearl the Soča Valley is somewhat remote, so for a visit it requires a bit more logistics planning. However, the reward once there is so much bigger, because you find yourself in one of the European incentive epicentres that offers a complete infrastructure for adrenaline and active incentive programmes, from agencies to guide services and accompanying services, including all the necessary equipment for the most unusual desires. Soča Valley has for many years been attracting guests interested in active holidays and adrenaline challenges. At the same time they are seeking peace and contact with nature through other sport on Soča, such as fishing and hiking, as well as exploring the rich history. Emphasis has been for many years on the summer season, although the incentive offer is also quite rich in winter. Kobarid (234 m) the centre of rafting and kayaking exploits – as well as the beautiful mountain villages under Krn (Drežnica, Vrsno, Krn). The greatest impression made on Kobarid is by the first World War. The narrative of the history of the place and especially on the Soča front can be taken in at the Kobarid Museum, the best museum of Europe in 1993. Kobarid is also the Slovenian town that can boast the highest number of excellent restaurants in one spot. Tolmin (200m) the largest settlement and administrative centre of the Soča valley. To the Tolmin municipality belong Tolmin and Most na Soči with the surrounding areas of Baška ravine, Šentviška plateau, the edge of the Idrijca valley and the mysterious and thinly populated area of Trebuše. Tolminska offers great opportunities for active incentive programmes. Numerous forest roads and trails offer excellent conditions for mountain biking. Fishing is the most popular tourist activity in the area, as the rivers Soča, Tolminka, Idrijca and Bača are full of trout and grayling. The congress story relies on a responsible and unforgettable connection to the nature and culture of the region. It is therefore a boutique congress tourism, with no large hotel resorts. Perhaps Soča Valley, because of its remoteness, comes closest to responsible green tourism. There are a number of programmes that provide unforgettable green congress experiences in the middle of the Triglav National Park. In Bovec there are a number of sites that are potentially interesting and allow the preparation of interesting incentive programmes, although they are limited in terms of capacity, for example the Kekec Homestead, Pristava Lepena and Dobra Vila ecological tourist farms. The main classic congress infrastructure is otherwise currently available in a smaller conference centre, Šiglič house in the centre of Bovec. The multi-purpose centre is very nicely renovated and can accommodate up to 100 conference delegates. The main hotel and meetings supplier at this moment in Bovec is Hotel Alp, which operates during the summer season. Suitable conference halls in Bovec can also be found in Mangrt hotel and boutique Dobra Vila, as well as in pension Boka. The largest hotel in the valley, the Hotel Kanin that has congress facilities and a considerable number of rooms, is currently closed and waiting on a restart. In Kobarid smaller meeting rooms are offered by the Hotel Hvala (Thank you). An event can easily be combined with the adjacent spaces in the TIC. In Tolmin the main provider is Hotel Krn. All over the valley there are a number smaller suppliers of apartments and restaurants that accommodate and provide space for smaller congress groups. The key challenge is currently a very fragmented offer that is not adequately linked and presented on the international congress map. Given the enormous potential a functioning convention or incentive bureau would greatly help and would help to improve the image. In addition, the joint offer would also be easier to market to specific types of congress clients. Soča Valley is probably one of the most photogenic venues to launch new cars. Numerous film crews and car launch programme organisers have already understood this. A connected performance would facilitate marketing and access to specific clients, who are currently coming to the Soča Valley more by chance. Incentive meetings stories thrive best where the picturesque is intertwined with the cultural and historical heritage to a solid tourist offer. This is the maximum potential of the Soča Valley; incentive tourism in terms of development is one of the most promising market segments, which due to the possibility of a combination of active leisure, relaxation and professional work is an ideal product. 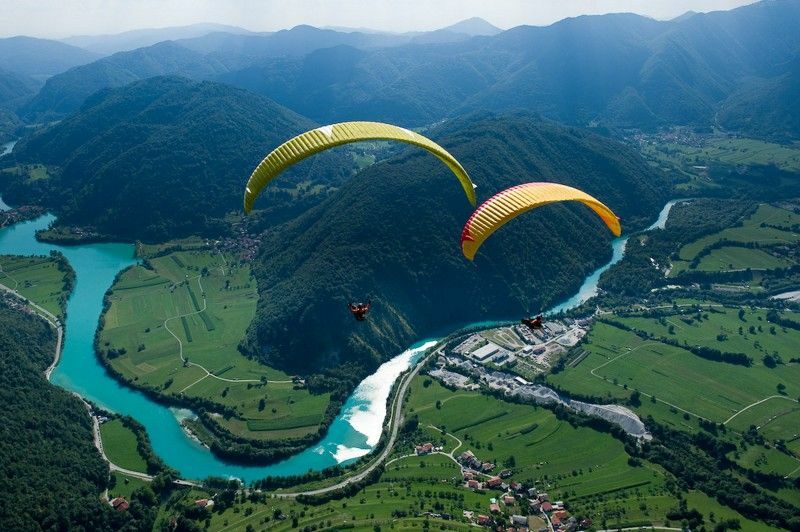 All of the spots in the Soča Valley can boast an exceptional natural heritage and a wide range of incentive stories: rafting, kayaking, hydrospeed, mountain biking, paragliding, hiking, mountaineering, fishing. For all of the above reasons the Soča Valley is an unpolished incentive gem that with appropriate development would be an incentive epicentre of Europe. Variety of offer in a small space, preserved nature, Soča, culinary and wine offer, authenticity, rich cultural and historical heritage, Julian Alps and Triglav National Park all make for an extreme experiential diversity and attractiveness. Geographic location, proximity to key markets and good communal arrangement are the key advantages. Very close are also important transit points with entrances to the European motorway network (Udine and Treviso). If you want to get away from the bustle of the city, you will be excited about the quality of living in the picturesque Soča valley. A tourist destination that is not yet besieged by crowds of tourists, outstanding gastronomic offer, visibility through the top festivals, good sports facilities are the key benefits of the destination. The weakest part of the offer is currently accommodation facilities. A large number of agencies (over 20) that are offering highly developed products for sports and also incentive tourism programmes is important. Soča Valley is suitable for smaller boutique conferences and incentive programmes in the middle of genuine Alpine nature. Unfortunately, the product is currently fragmented and poorly represented in the international market. Given the potential creation of meetings an incentive bureau is essential and would link key providers of existing products in all three places and present the extraordinary offer to the international congress market. Soča, set in the middle of Triglav National Park, offers an exceptional number of different experiences in a small area. Particularly impressive is the top culinary offer concentrated in restaurants such as House of Franko, Kotlar and others. Also, the balance between price and quality is acceptable, which makes the destination very competitive in comparison with more notorious destinations. The disadvantage is a poorer image of the destination that it should actually earn. In the narrow micro-region the Soča Valley is currently not facing increased competition. On the Italian side in Friuli Venezia Giulia, incentive tourism is underdeveloped and the development of the product in Brda and Nova Gorica is also at the beginning stages. A more serious competition is in Istria and neighbouring Carinthia, as well as within the wider Slovenian Julian Alps. The main advantage of the destination is a developed incentive product, gastronomy and preserved natural and cultural heritage, which is unequalled. A weakness in comparison to some other destinations is the offer’s disjointedness. In terms of marketing some other destinations are also better, despite significantly worse conditions. Given the capital of the destination, represented by a number of already developed stories and awards (EDEN European Destinations of Excellence), the incentive meetings product awaits a bright future.